Accommodation near NEC Arena Birmingham: The National Exhibition Centre is an exhibition centre located near junction 6 of the M42 motorway. The NEC Birmingham is one of the most popular venues for shows, exhibitions, events and meetings. The centre is adjacent to Birmingham Airport and Birmingham International railway station. 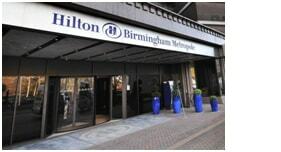 Here we will discuss reviews on best and cheap 3 star, 4 star and luxury hotels near NEC Birmingham. 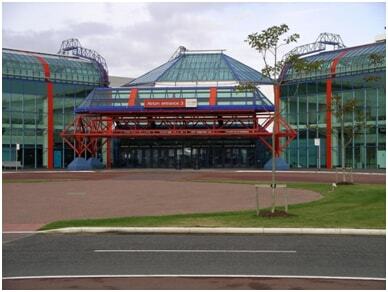 There are number of hotels in the NEC arena; you can find good deals for the hotel to suit your needs and budget. Birmingham is one of the fastest-growing cities in UK. The city has beautiful attractions, venues and a plethora of tasty eateries. Star City Aparthotels provides serviced apartments with a fully furnished and fully fitted kitchen. You pay per apartment and so it offers flexibility to have friends or family members with you. They have a 24-hour reception desk. They have two apartments located at near distance, one is Arcadian apartments and the other is modern and stylish Newhall Square. Whether you are on a business trip or for leisure, Star City Aparthotels offers you comforts and luxury. You can relax in the living room, watch TV on flat screen, sip tea or coffee, have breakfast, and plan your visit to different venues in the city and lot more. You can book online or make a call. 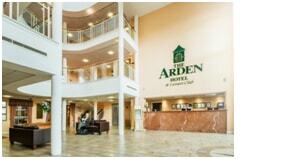 Located 0.6 miles to NEC Birmingham, The Arden is the largest hotel in the area with 216 rooms. They offer great facilities and levels of service. All the rooms are ensuite and equipped with 32″ flat screen TVs and free Wi-Fi. Free car parking is available on site. They have 15 meeting rooms, a well equipped gym, TV lounge, Snooker and Pool table, restaurant and a bar. They also offer wedding packages and event management. You can book a room online at www.ardenhotel.co.uk . For any inquiry, you can call +44 (0)1675 44 3221 or write an email to enquiries@ardenhotel.co.uk. This is one of the best accommodations near NEC Arena Birmingham. 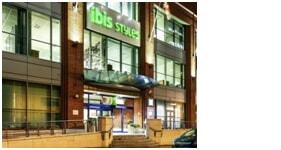 Just at 0.4 miles from Birmingham, ibis Style Birmingham hotel offers luxurious rooms. All the room floors decorated with industrial theme. They have 120 guest rooms which are air-conditioned with free Wi-Fi facility. Reception remains open 24 hours a day. 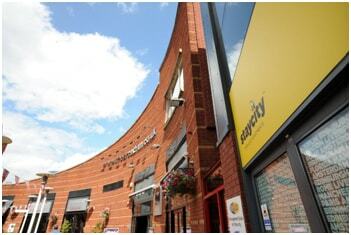 The hotel is located near key attractions in the city and transport links. Birmingham Airport is just 9 miles from the hotel. You can check rates and book hotel online at www.accorhotels.com/gb/hotel-9130-ibis-styles-birmingham-centre/index.shtml . If you have any query, you can call (+44)121/2001900. Located at a walkable distance form NEC Birmingham, Hilton hotel makes a perfect stay close to the hotel and city as well. The hotel provides luxurious rooms at affordable price; the rooms have all modern facilities. They offer complimentary breakfast and snacks too. They also provide complimentary shuttle services from hotel to the Birmingham airport and Birmingham international station. They have indoor swimming pool, fitness centre, 33 banquet and meeting rooms and more. Moreover, NEC, Genting Arena, Resorts World shopping and entertainment complex are just a quick stroll from the hotel. You can book rooms online at www.hilton.com . For any inquiry or help, you can call +44-121-780-4242. This is also one the best Hotel near NEC Birmingham. 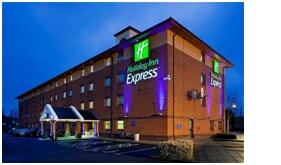 Holiday Inn Express is at a mere 0.7 miles from NEC Birmingham offers two types of room at much affordable rates. You can choose from one double bed room for 2 guests or one double bed room with sofa bed in which 2 adults and 2 children can be accommodated. They offer facilities such as free Wi-Fi, work desk, TV, power shower, tea and coffee making facility etc. You are served hot breakfasts. They offer best price guarantee and also have no cancellation charges. There are several packages offered including parking, park stay & go etc. You can book hotel rooms online at www.hiexpress.com . If you need any help, you can call 1800 1033 066. Situated at a fantastic location just 0.6 miles, Premier Inn Birmingham offers air conditioned family rooms at best competitive price. They provide luggage facilities, parking, parking, restaurant and more. They provide several packages to suit needs of guests. Facilities provided in the room are free Wi-Fi, flat screen TV, tea and coffee making facility, power shower, a desk and a chair etc. 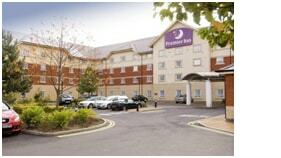 You can book rooms online at www.premierinn.com . They also charge no cancellation fees. Located in heart of the Birmingham city, many attractions in the city are close buy and your stay at the Premier Inn makes it the most comfortable and convenient. On a business trip or for leisure, if you are in Birmingham, you have a number of accommodations available to suit your needs. Birmingham is one of the fastest-growing cities in UK. The city has beautiful attractions, venues and a plethora of tasty eateries. Get the best hotel deal and enjoy your stay!